Dr. Barbara Murphy is the system chair for the Department of Medicine, the Murray M. Rosenberg Professor of Medicine, and the dean of clinical integration and population management at the Icahn School of Medicine at the Mount Sinai Health System. She is a transplant immunology researcher whose most recent work has focused on the use of genomics and genetics to investigate outcomes following renal transplantation. She was first recruited to Mount Sinai as director of transplant nephrology in 1997 and was named chief of the division of nephrology in 2003. In 2011, she was appointed dean for clinical and population based research, director of conduits at the Institute for Translational Science and PI of the Institutional CTSA. She was named Murray M. Rosenberg Professor of Medicine and Chair of the Samuel Bronfman Department of Medicine at the Icahn School of Medicine at Mount Sinai in 2012. Dr. Murphy is a councilor for the American Society of Nephrologist and past president of the American Society of Transplantation and chair of the World Transplant Congress. 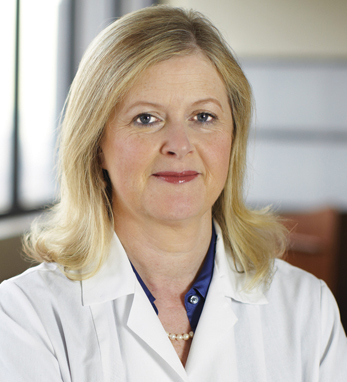 Among her numerous honors, Dr. Murphy was named Nephrologist of the Year by the American Kidney Fund in 2011 and received the Wyeth Basic Science Investigator Award – the single most prestigious award for young physician-scientists in the transplant field – from the American Society of Transplantation in 2003. She is the recipient of the 2014 Jacobi Medallion for her dedication and distinguished service to Mount Sinai. Born in Ireland, Dr. Murphy earned her M.B., B.A.O., and B.Ch. from the Royal College of Surgeons in Ireland and went on to do an internship, residency, and a fellowship in clinical nephrology at Beaumont Hospital in Dublin.